For better or worse, guns have been a part of the American experience since the beginning. Recent political efforts to reduce gun violence has increasingly led to zero-tolerance policies for technical firearm offenses, and rapidly inflating minimum penalties. Massachusetts has been at the forefront of much of the movement, and as a result, has enacted some of the harshest gun control laws in the country. There are a number of common defenses in cases where someone is charged with a gun crime. The first issue is whether the evidence was lawfully obtained by the police. This is a question of whether the police followed the law and acted appropriately according to the constitution when conducting the search that eventually lead to the firearm. Often this will be a search of a car, for which there are very particular rules, and if any are violated, the evidence cannot be used against you. Next is the question of how the law actually operates on the facts of the case. Massachusetts gun laws are detailed and often overlapping. 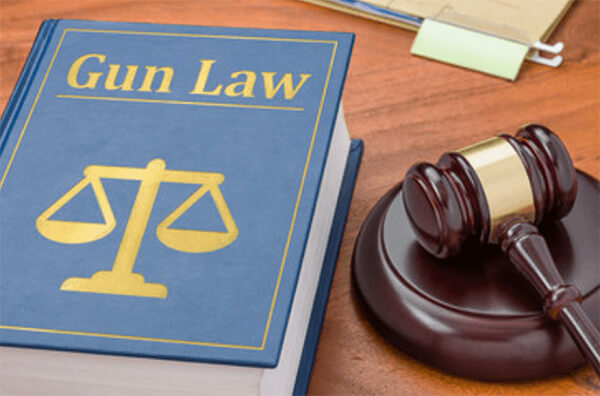 To make things more complicated, there are federal laws in place designed to protect certain kinds of firearm possession. There is also the question of whether the Commonwealth can produce the evidence necessary to meet each element of the charge, an issue that is frequently more complicated than it first appears. Just as someone can be broke but not "bankrupt," someone can be in possession of a gun that is not a "firearm." "Firearm" is a term that is defined in the laws of the Commonwealth, and does not always mean what you might expect. Some of this evidence is forensic, and depends on new laws regarding what evidence may be admitted in court, and under what circumstances. In addition to proving that the item is a "firearm" the Commonwealth must also prove "possession." This is, again, an issue that is more complicated than it seems at first. In many cases, police will charge someone with "possession" simply for being in a car where the gun was found. In those cases, the district attorney will pursue its case based on "circumstantial evidence," but circumstances can cut both ways. While driving a car with a gun inside may look like circumstantial evidence of possession, other circumstances, such as the ownership of the car, who was recently inside, and why it was being driven at the time can provide circumstantial evidence that the defendant had no knowledge of the gun being inside. There are also constitutional issues with the laws themselves. The Supreme Court has held that citizens generally have the right to keep and bear arms, which includes a right to own a gun in your home for self defense. How far this ruling goes to preclude a conviction for possession in the Commonwealth is unclear, but is certainly an area to explore in any gun case. In short, the evidence and circumstances of each firearm charge varies immensely. Contact me at any time to set up a free consultation if you are charged with a firearm offense.